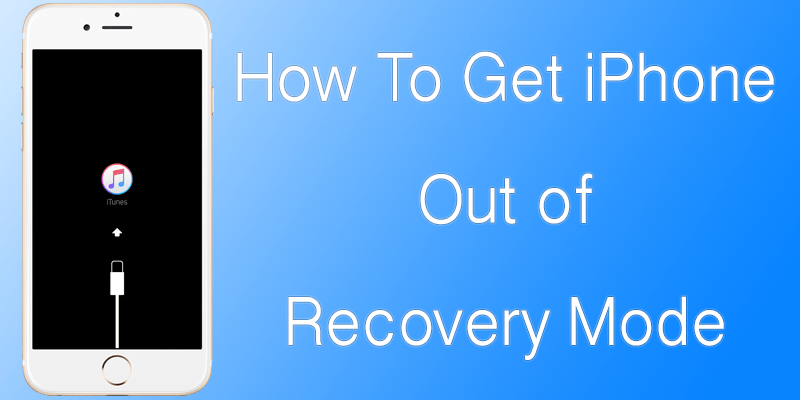 Do you want to know how to get iPhone out of recovery mode? Did you leave your iPhone unattended, only to find that it’s stuck in recovery mode? You did a reset, but the device doesn’t even connect to iTunes. This post tells you why that happened, and how to get iPhone out of recovery mode with a software that may help secure your data. A lot of iPhone users with devices stuck in recovery mode go to Apple techs to get their problems solved. However, they don’t like it when they have to revisit these techies, because the problem the latter solved appeared again. As we have had such experiences ourselves, we can say that the solutions listed on Apple’s site and other Apple blogs may not deliver a permanent solution for this issue. The iPhone can be taken out of recovery mode – but with the solutions you’ll read online – that would happen just for a day or two. It takes more in-depth working to know how to get iPhone out of recovery mode once and forever. What Is the Reason An iPhone Gets Stuck in Recovery Mode? There are two reasons usually: A hardware issue or a corrupt software. If the iPhone got wet in water, it’s probably an issue with hardware. However, the iPhone usually gets stuck in recovery mode due to a serious software issue. If the iPhone hasn’t been backed up to iCloud or iTunes, there’s a chance that you’ll lose your personal data. However, if you know how to get iPhone out of recovery mode, even for a little while, you may be able to save the data. A software called “Reiboot” may help. 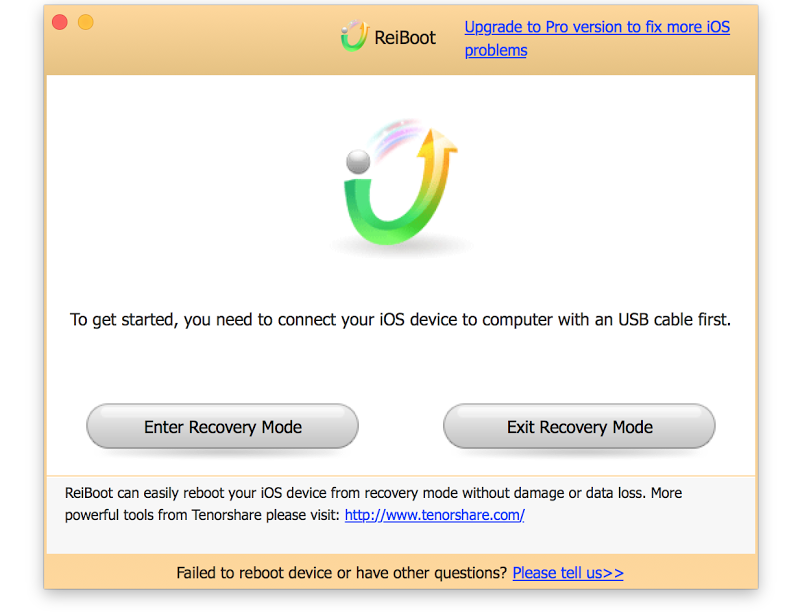 This is a tool from a company named as Tenorshare and it forces iPhone out of recovery mode. There are Mac and Windows versions of this software. Just search for “Fix iOS Stuck” in the main window of Reiboot; no need to buy anything. As a good alternative, you can use Recboot tool, it will help you get your iPhone out of recovery mode. If you manage to get iPhone out of recovery mode, launch iTunes and back up your data. But even if this software works, go through this post to make sure you know a permanent fix. Is there an alternative to save data? iPhone that is stuck in recovery mode may not show up in iTunes. If that happens, skip to the next step. Also, you’ll see a message claiming you need to restore or repair your iPhone. So if Reiboot doesn’t work and there’s no backup, restoring or repairing your iPhone with iTunes may save some of your personal data. If your data is there after the iPhone has rebooted, back up your iPhone right away with the help of iTunes. The other articles will tell you to stop at this point. However, you can do more things than just stop your efforts at these surface-level fixes. How to get iPhone out of recovery mode permanently? An iPhone stuck in recovery mode is a serious software issue. Most people aren’t aware that three types of iPhone restores can be done: recovery mode restore, iTunes restore, and DFU restore. Did you know that the DFU restore has the best chance of permanently solving the issue? DFU – Default Firmware Update – is the proper in-depth restore. Do a DFU restore to make sure the problem never returns, and backup to iCloud or iTunes. What to do if iPhone is still in recovery mode? You’ve tried every method of how to get iPhone out of recovery mode, but nothing worked. If your device is in warranty, go to Apple Genius Bar to get it fixed. A repair outside warranty will be expense, so you can try a mail-in service like iResq or other local service that does quality repairs. Let us know in comments what worked for you and what didn’t. Previous articleYellow Screen on iPhone X? Here’s a Fix! Next articleWhich iPhone Has the Longest Battery Life?